Panorama Consulting Solutions, one of the world’s leading independent Enterprise Resource Planning (ERP) consultants and digital transformation companies, has developed and released their Top 12 Manufacturing ERP Systems Report to analyze the strengths of the Tier I, II and III ERP systems and niche applications best suited for the manufacturing industry. Report analysts discuss considerations such as user experience, cultural fit and functional strengths and weaknesses. Advances in enterprise technology over the last few years have opened up a number of doors for small manufacturing businesses that are now able to compete with their larger counterparts. While these technologies present their fair share of benefits, its important to understand their potential in order to remain competitive. One technological development that many manufacturers are employing is that of ERP solutions. By utilizing these systems, manufacturers can almost guarantee operational improvements. Manufacturing companies have hundreds of different manufacturing tools to choose from today. Panorama Consulting argues that the ideal manufacturing solution should address the entire supply chain, from product inception to customer delivery. It should have functionality to track suppliers, materials, production costs, maintenance and customer relationships – and should ultimately increase operational efficiency and provide full visibility into manufacturing processes and business data. for discrete, process and repetitive manufacturing. The vendors featured in Panorama’s Top 12 Manufacturing ERP Systems report were chosen based on the strength of their manufacturing functionality as well as the amount of research and development invested in these products. conferences where executive leadership teams discuss product visions in detail,” according to the report, available here. What’s the difference between Tier I, II and III anyway? 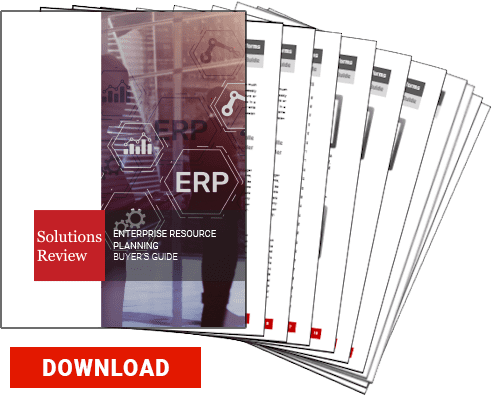 The process of searching, evaluating, purchasing, and deploying an ERP solution is not as simple as it once was. There’s no such thing as a one-size-fits-all approach when it comes to ERP software. Solutions today come in a variety of different flavors, each features a particular set of capabilities, strengths, and drawbacks. Choosing the right vendor and solution is a complicated process—one that requires in-depth research and often comes down to more than just the solution and its technical capabilities. Tier I ERP solutions consist of mega vendors such as SAP and Oracle. They are designed to service the needs of Fortune 1000 companies, which for the most part are complex, large businesses that have many departments and global locations with revenues typically in the billions. Tier II ERP software solutions are a step down in complexity and cost from Tier I, as Tier II products are offered by several vendors, such as Epicor Software, Infor, Microsoft and Sage. Tier II ERP systems fit well with mid-size companies and can have a single or multiple locations. Generally the needs are less complex than a billion dollar enterprise, but the level of complexity does vary quite a bit in this group. Because of that, you can find several vertical market players in the Tier II category. Tier III ERP solutions are at the lowest level that do not offer the functionality of Tier I and II solutions, and may not even qualify as ERP systems – they are considered to have basic accounting abilities with these small business tools. Download Panorama’s Top 12 Manufacturing ERP Systems Report here. So You’re Looking For an ERP Order Management System?